Quests in open-world games often become redundant and tedious. Fetch quests, missions that require an NPC to be followed, and sneaking into restricted areas to steal items or eliminate targets are a few notorious examples. But filling a world meant to provide anywhere between a dozen to hundreds of hours of content is no easy feat. Therefore, developers designing repetitive quest types deserve a pass from time to time. Admittedly, the studios behind the various Assassin’s Creed titles over the last several years are guilty of leaning a little too much on similar mission types. Brotherhood through Black Flag saw the series riddled with a particular kind of quest that won’t soon be forgotten. Quests that demand players trail an NPC, while not being spotted but staying within a designated range plagued the franchise for years. Thankfully, Origins didn’t focus much attention on such mission constraints. However, many would argue the variety of quests still needs work. Apparently, Odyssey’s development team is working to make the necessary changes. Talking to GamingBolt, Odyssey’s creative director, Scott Phillips, says quest variety indeed constitutes an improvement the team tackles. What Phillips means by this isn’t abundantly clear. Yet, his words intimate that quest variety depends upon choice. For instance, perhaps certain decisions lead to one type of mission that players won’t otherwise experience. If so, Odyssey may require more than one playthrough to see all the new entry has to offer. This unusual step for the series could be just what the doctor ordered. 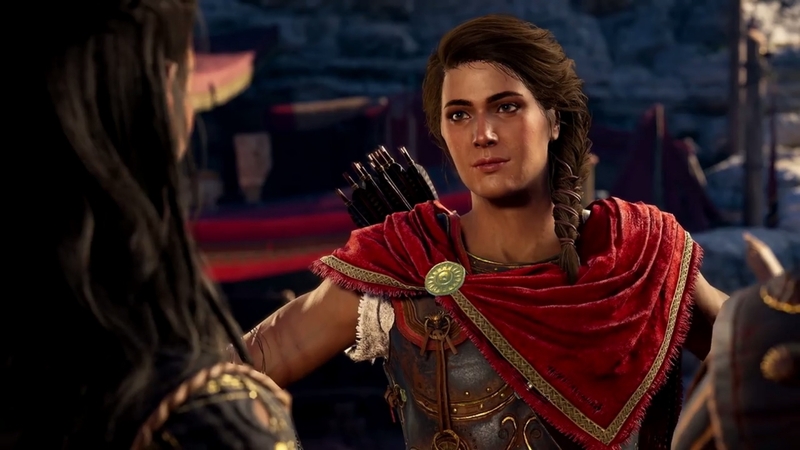 Assassin’s Creed Odyssey launches this fall on October 5.